Fresh off of a popular string of singles known as the Myths released last year, a well-received performance at our Public Radio Rocks day stage at South by Southwest last month, and the release of their debut, Seattle sextet Pickwick swung through town last night for a show at St. Paul's Turf Club. The band, whose style is a fusion of raw, garage-y indie blues-rock and retro-licious R&B/soul, just released the full-length album Can't Talk Medicine and continue to build buzz with national touring. The band stopped by The Current studio amid yesterday's snowstorm to chat with host Mark Wheat and play a few songs before their show. Perhaps a little loopy from their long, icy drive south from Winnipeg, they joked around a bit with Mark Wheat, then explained the origins of the band's name and discussed their favorite songs to cover, along with much more. Songs played: "Brother Roland," "Hacienda Hotel" and "Window Sill." 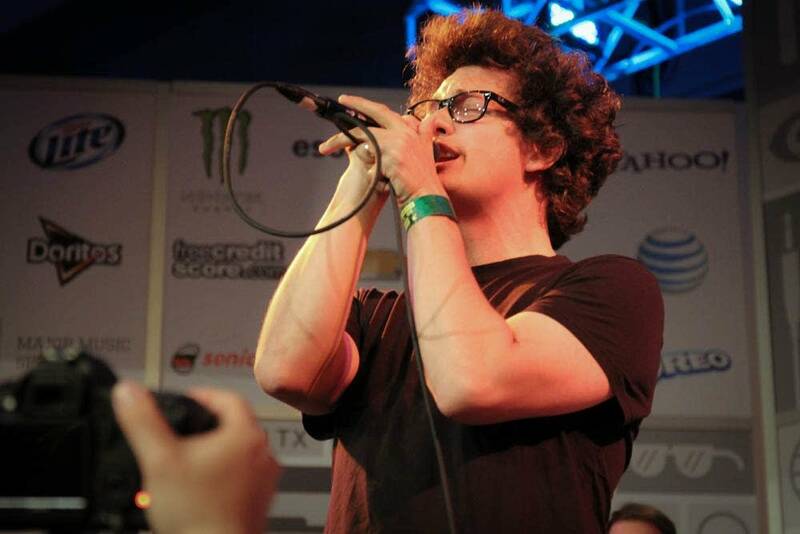 Pickwick live at SXSW Touring behind their debut full-length album "Can't Talk Medicine," Pickwick wowed the radio day stage attendees with their blend of soulful garage rock.